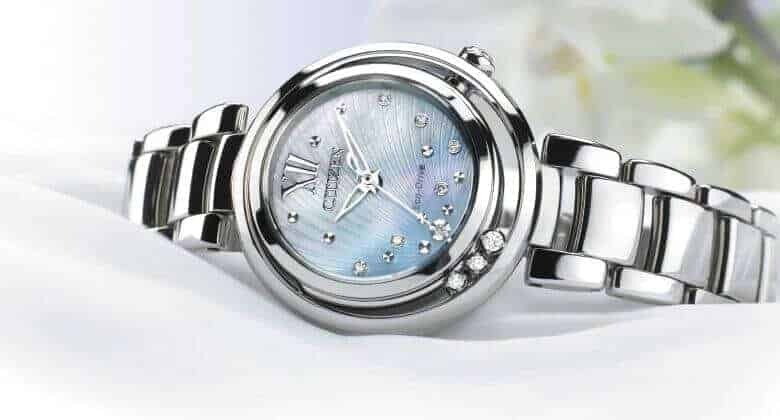 CITIZEN was founded in 1930 and incorporated excellence and beauty in each design of its Quartz timepieces. CITIZEN watches can be worn for any occasion and are designed with floating diamond bezels to sporty, liquid rubber comfort bands. CITIZEN is a Japanese watch that is crafted with an artisans approach. CITIZEN Eco-Drive was launched in 1995 and is designed to convert power from any light source. For each hour of light the solar cell will charge the timepiece for up to six months. CITIZEN timepieces are fashion forward and can be worn for a dressy night out to going to work. Citizen Watches make the perfect gift for that special person in your life for any occasion. Each CITIZEN watch comes with a five year limited warranty. 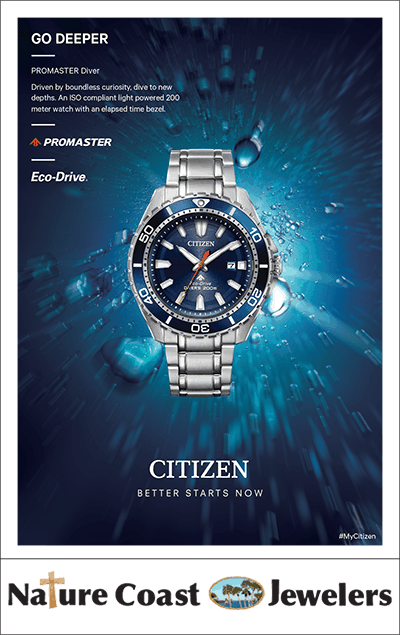 CITIZEN will extend the warranty by 1 year if the consumer registers their timepiece online at time of purchase.